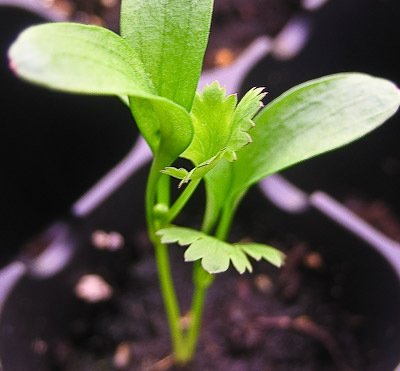 Re: what is growing with my cilantro?? Not sure, some kind of weed. But your cilantro is looking VERY spindly and stretched out. Clearly not getting nearly enough light.